Arsenal have been heavily criticised by fans and pundits alike on Twitter after tweeting a video of their manager history that made no mention of Arsene Wenger. 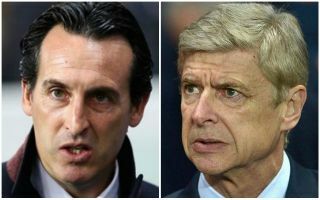 This follows the club officially announcing Unai Emery as their new manager this morning, with the Spaniard replacing Wenger after a remarkable 22 years in charge of the Gunners. While it’s worth noting that this video below leaves out other managers from their history, to leave out their longest-serving and most successful is a simply bizarre choice and shows a lack of respect to a legendary figure not just at Arsenal but in the game as a whole. Many are calling it ‘disgraceful’ and ‘disrespectful’ as the post-Wenger era perhaps doesn’t get off to an ideal start, on what should be a positive day due to the arrival of a proven trophy winner like Emery at the Emirates Stadium. This is disgraceful to leave out Wenger. Where is Wenger in this little showreel? Disgraceful. So disrespectful to not include Wenger. Where is the Arsenal class and values that club went on about in statements this morning……. Unless Wenger his getting own montage if he isn’t then that’s really disrespectful of Arsenal.